Joanna Moorhead traces the life of her long-lost cousin, Leonora Carrington, who died in May 2011, a member of the original surrealist movement. As a young woman, Leonora Carrington fell in love with surrealism. She also fell in love with Max Ernst, went to France and met Picasso, Dali and some of the twentieth century's greatest artists. She fled war-torn Europe and after a breakdown, ended up in an asylum. She has spent the past seventy years in Mexico, where she is now considered one of the country's greatest living artists. Joanna Moorhead travels to Mexico and finds an extraordinary woman, who was estranged from her own, and Joanna's family. A rebellious debutante, she knew Diego Rivera and Frida Kahlo yet found herself at the centre of a vibrant artistic European emigre community. She still speaks with a cut-glass Edwardian accent. Joanna visits Leonora's childhood home in Lancashire to discover what propelled her into the life of an artist. She talks to friends about the years post-war and pieces together the events that affected Leonora after Mexico's 1968 student massacre. 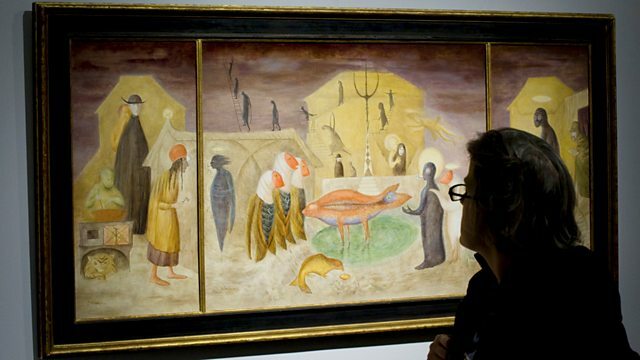 In recent years, the acknowledgement of work by women artists like Leonora Carrington, has forced a reappraisal of the surrealist movement. At 93, Leonora looks backs at her remarkable life.